Today’s readings invite us to live out a total commitment to serve God with a humble and generous heart, free from pride and prejudice. In the Gospel, Jesus contrasts the external signs of honor sought by the scribes with the humble, sacrificial offering of a poor widow and declares that she has found true honor in God’s eyes. The poor widows in both the first reading and the Gospel gave away all that they possessed for the glory of God. The sacrificial self-giving of the widows in the first reading and the Gospel reflects God’s love in giving His only Son for us, and Christ’s love in sacrificing himself on the cross. We need to accept Christ’s criteria of judging people. We often judge people by what they possess. We give weight to their position in society, to their educational qualifications, or to their celebrity status. But Jesus measures us in a totally different way – on the basis of our inner motives and the intentions hidden behind our actions. He evaluates us on the basis of the sacrifices we make for others and on the degree of our surrender to His holy will. The offering God wants from us is not our material possessions, but our hearts and lives. What is hardest to give is ourselves in love and concern, because that gift costs us more than reaching for our purses. 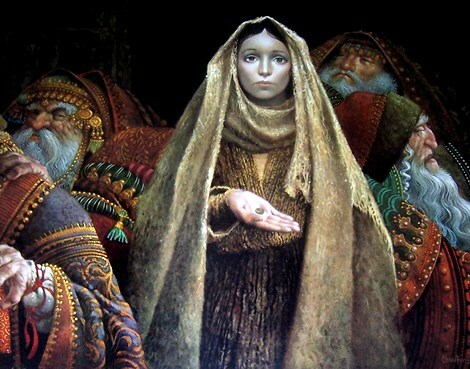 Let us, like the poor widow, find the courage to share the wealth and talents we hold. Let us stop dribbling out our stores of love, selflessness, sacrifice, and compassion and dare to pour out our whole heart, our whole being, our “whole life” into the love-starved coffers of this world.